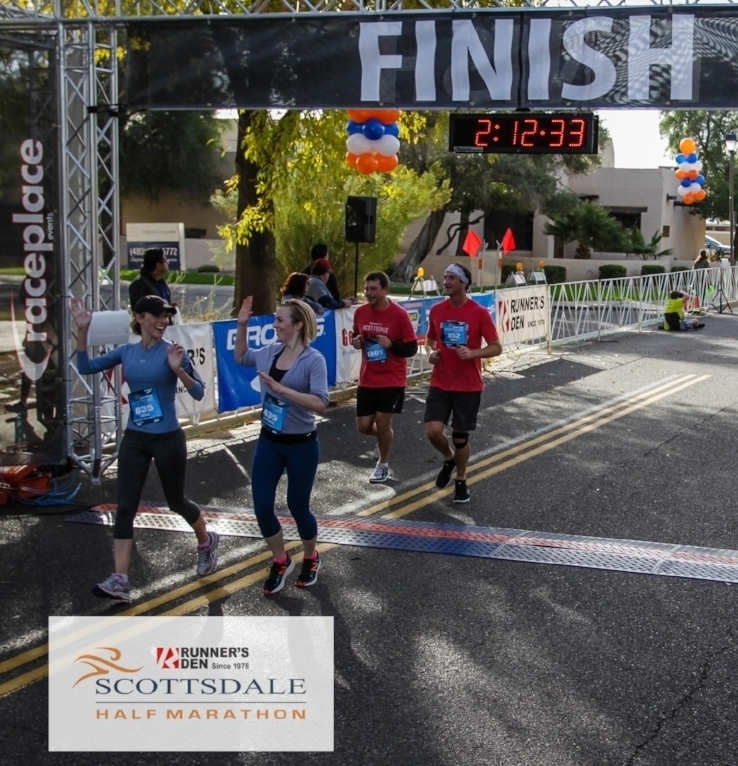 The Scottsdale Half Marathon & 5K will take place on Sunday, December 15, 2019. Registration is now open. The Scottsdale Half Marathon & 5K takes place each year in December. Join us for a great run, set your personal PR on a fast course and stay for brunch! Our afterparty includes beer, mimosas, music and delicious food. We welcome all runners from beginners to seasoned pros! The Half Marathon is a Flat, Scenic loop through beautiful Scottsdale in ideal running weather. Make this amazing event your year-end classic. Click on the link above for more details. Set a PR or make this your first 5K. Either way you'll have a blast and get amazing swag that you can't get anywhere else. Click on the link above for more information. We need your help! Email us at info@raceplaceevents.com if you and your friends want to help us out on race morning! You will receive a cool shirt and we promise a fun morning! For the most up to date Race Information, follow us on Social Media!